Palmview residents will soon see relief from damaged streets as the city broke ground on a project earlier this month to repair roads that were torn up for the construction of a sewer project. The Palmview Wastewater Project, a $42 million effort by the Agua Special Utility District to bring sewer to the city, got underway last year and has caused damage to residential roads in the process. Largely funded by the Texas Water Development Board, the scope of the project only allowed for patchwork on the roads to repair that damage. 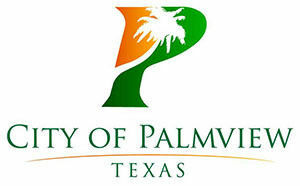 However, after many residents voiced their concerns about the streets, the city of Palmview agreed to pay for the roads to be completely repaved. Earlier this year, the Palmview city council and the Agua SUD board of directors approved interlocal agreements for the work. While one of those agreements focused on the road work, the other allowed the city to connect about 331 empty lots to the sewer lines before that road work got under way. Those empty lot connections were necessary, in the city’s view, so the roads wouldn’t have to be torn up again to connect those lots after the streets had been paved. “(The Texas Water Development Board) did not fund vacant lot connections, but the city and Agua felt it was in our best interest, in order to maintain the streets, to go ahead and upfront the money for those vacant lots,” said interim City Manager Leo Olivares. The city originally planned to work with Hidalgo County Precinct 3 for the labor but the time it was taking for the commissioners’ court and the county’s legal counsel to review the agreement was longer than expected, as the city only had two weeks after Agua SUD’s contractors turned over the streets to them to complete the work. To pay for the work, the city using $770,000 that Agua SUD was given from the TWDB for patchwork. To that, the city is adding $1.5 million to equal about $2.3 million to pave the entire streets. For the vacant lot, connections will cost the city about $950,000, which the city will recover when property owners apply for permits to build a home there.